In 1933, the U.S. National Park Service established the Historic American Buildings Survey (HABS) to create work for architects, draftsmen and photographers left jobless by the Great Depression. Guided by field instructions from Washington, D.C., the first HABS recorders documented numerous buildings representative of America’s architectural heritage. 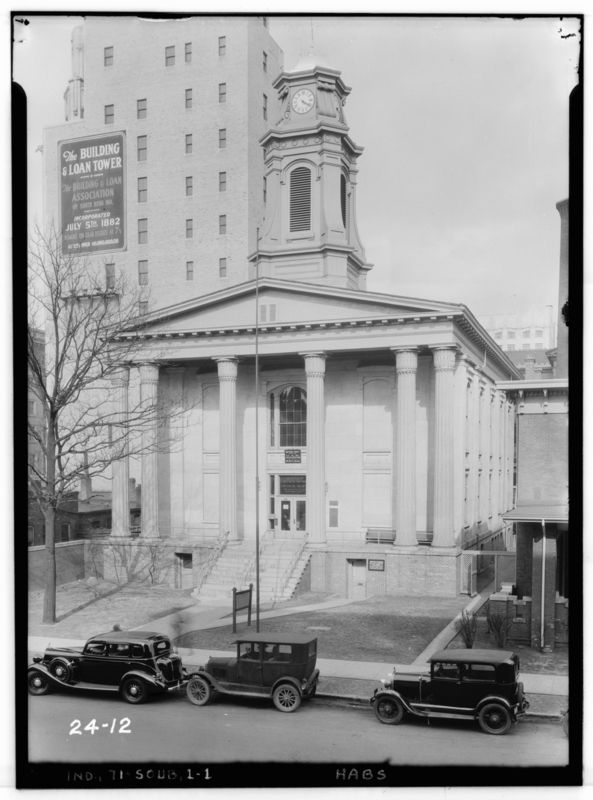 Still in existence today, HABS is the federal government's oldest historic preservation program and produces the largest archive of historic architectural, engineering, and landscape documentation in the United States. Materials from the HDP collection—archived in the Library of Congress’s Prints and Photographs Division—document “achievements in architecture, engineering, and landscape design in the United States and its territories through a comprehensive range of building types, engineering technologies, and landscapes.” The multi-format historical record consists of more than 556,900 drawings, photographs, and written histories for more than 38,600 historic structures and sites. 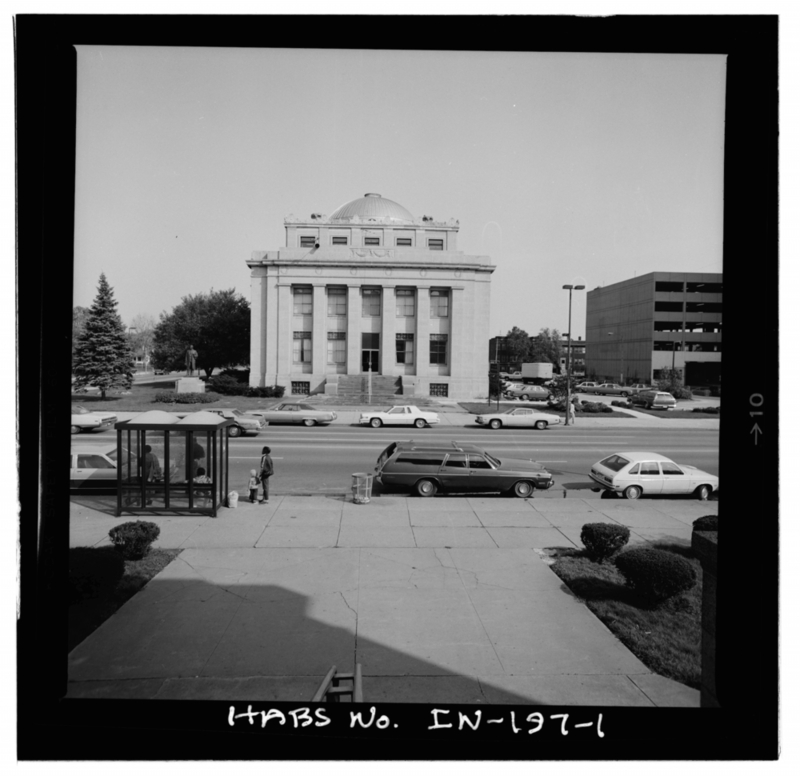 The following photographs and survey drawings include a selection Indiana courthouses and municipal buildings documented by HABS. The current City Hall structure was erected in 1927 as an integral element of the Gateway Plan. The Gateway Plan, proposed by the Gary Commerce Club in 1924, was to be designed in such a manner as to create a balanced integration of landscaping and structures providing an aesthetically pleasing "front door" to the city. The Gateway Plan was designed to consist of a park, a court building, and the City Hall at a cost of three million dollars. The Wayne County Courthouse is one of Indiana's most imposing 19th century courthouses, and is a handsome example of Richardsonian Romanesque architecture. It is massively scaled with rock-faced stone walls, rounded arches, and steeply pitched multiple gable roofs. The structure was designed by prominent Midwest architect James McLaughlin of Cincinnati. McLaughlin designed many of Cincinnati's most distinguished late 19th century buildings, including the courthouse, public library and art museum. The courthouse was constructed of excellent materials and embellished with hand-crafted glass windows, wall frescoes, and wooden and stone carvings. Although the structure is predominantly monochromatic, the interplay of surface textures creates an appearance of diversity. Some of the original interior flavor has been lost with the removal of frescoing and original light fixtures, but much of the woodwork and original furniture remain, lending to its overall character. The Courthouse remains one of the Midwest's most impressive 19th century commercial buildings. At the time of its construction, City Hall symbolized the "coming of age" of Indianapolis as a major Midwestern metropolis. Before its construction, city government had been homeless, leasing offices in a multitude of private buildings. At last, after 60 years of existence, municipal government occupied a suitably monumental edifice worthy of civic pride. ... The City Hall is a fine example of the Neoclassical Revival style of architecture, which was the most popular style for civic buildings in the United States from about 1900 to the First World War. Design motifs were selected from both the Greek and Roman orders of architecture to create a unique composition. The lavishness of the materials of the building - an exterior predominately of Bedford limestone and an interior enriched by marble flooring and wall paneling, mahogany woodwork, and a stained glass, domes skylight - is representative of the Neoclassical's emphasis upon quality materials, which has seldom been equaled in periods of architecture that have followed. The use of the renowned Indiana limestone for the city hall of the state's capital city was a most appropriate choice of materials to express civic pride. National Park Service, Heritage Documentation Programs. 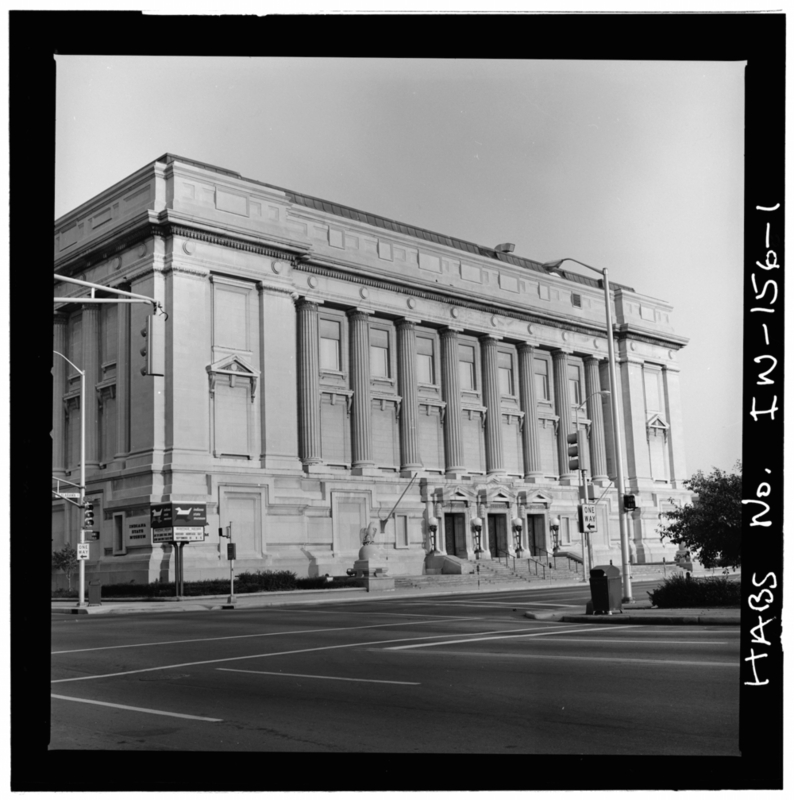 Library of Congress, Historic American Buildings Survey/Historic American Engineering Record/Historic American Landscapes Survey.